The film adaptation of Emma Donoghue's stunning novel Room has been nominated for four Academy Awards, watch the trailer now. 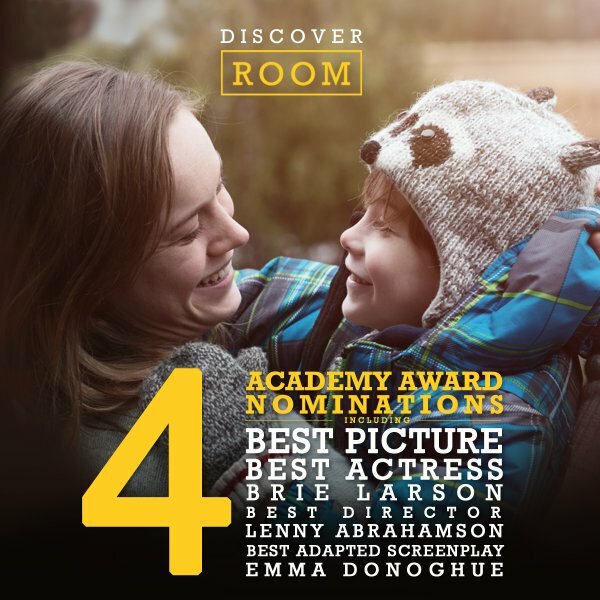 We loved the film adaptation of Emma Donoghue's stunning novel Room and were delighted to hear that the film has been nominated for four Academy Awards, including Best Picture, Best Director, Best Actress and Best Adapted Screenplay. Room is showing in UK cinemas now. Read Mark Kemode's 5 star Guardian review here.